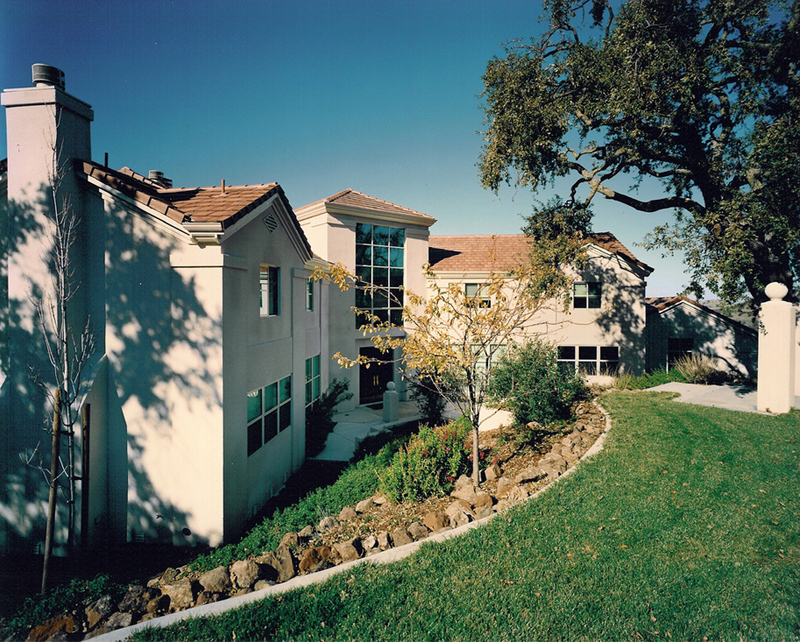 At project inception, we were asked to develop a new home in an early California mission style on this fairly steep, down-sloping lot in Alamo, California. The lot contained three clusters of large heritage oak trees that were to be preserved, and all plans were subject to a design review committee of property owners. 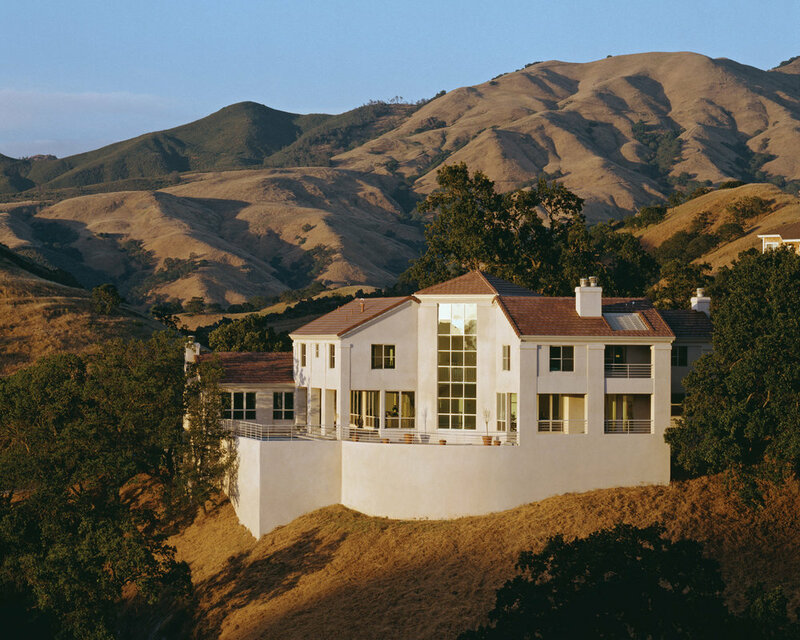 To ensure the panoramic views of the surrounding rolling hills commanded a new house that took advantage of the location. The owner required a swimming pool, which presented a challenge with the steep lot. We wanted the house and pool to be visually integrated and appear connected to the surrounding landscape. 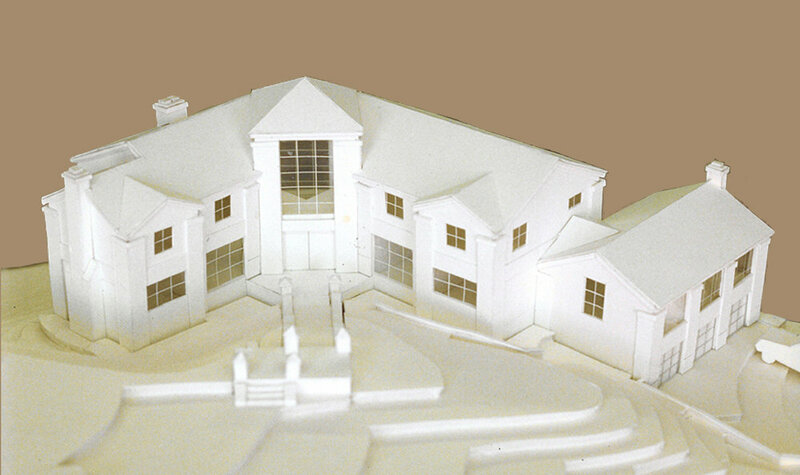 As the project developed, the new house design evolved to a more modern, contemporary Mediterranean style, and away from the early California mission architecture. To preserve the clusters of oak trees, we structured the house into rectangular segments, with the main segment hinged at the center to create the entry. The entry is expressed as a tall tower with large windows, with a panoramic view of the surroundings. Another segment of the new house includes the garage with the family room stacked above. 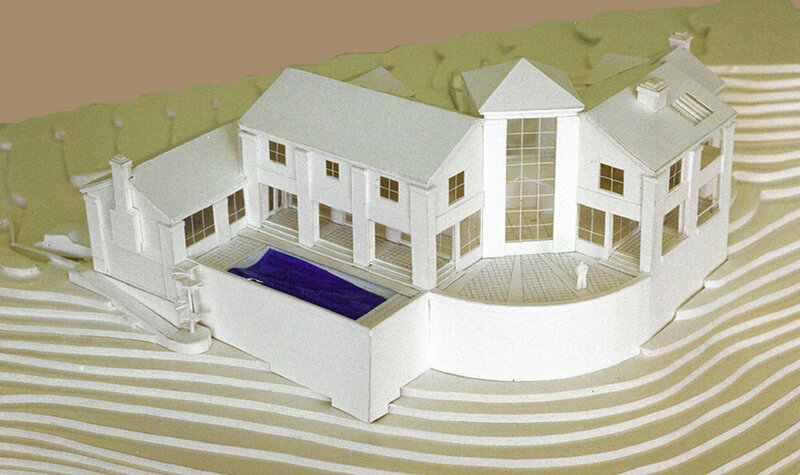 The swimming pool was designed in a raised position at the house’s main living level. This created a high wall at the back of the house where the pool is situated. 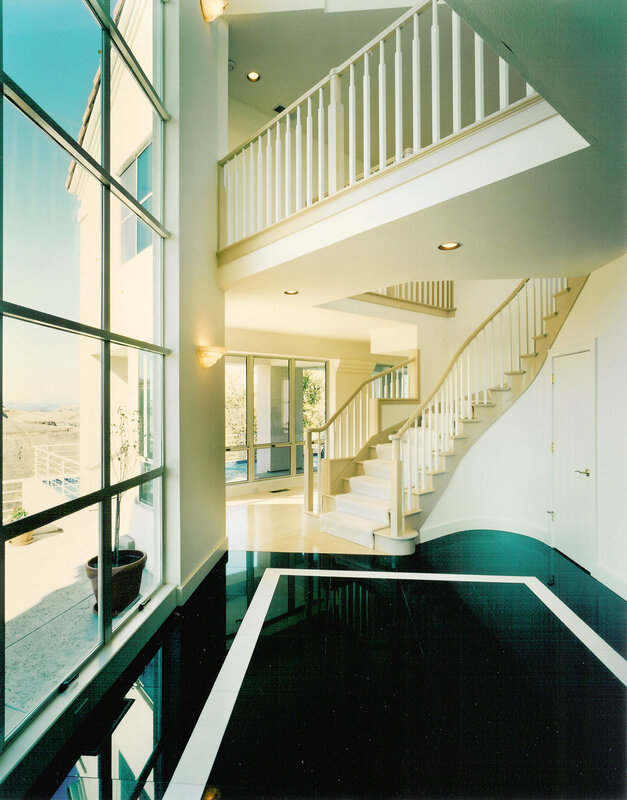 To achieve an integrated look and visual base for the house to sit upon, we designed the lower areas of the house and pool with the same stucco finish. At the rear of the main level we designed a large covered outdoor patio under the second level of the house. The combination of covered and uncovered patios creates a large amount of usable outdoor living space on the steep hillside. A rhythm of columns at the exterior of the house serves as an organizing element and helps break up the mass of the structure. Integrated into the interior as well, the columns visually tie the house together inside and out. Gilbert Fitch & Associates, Inc.